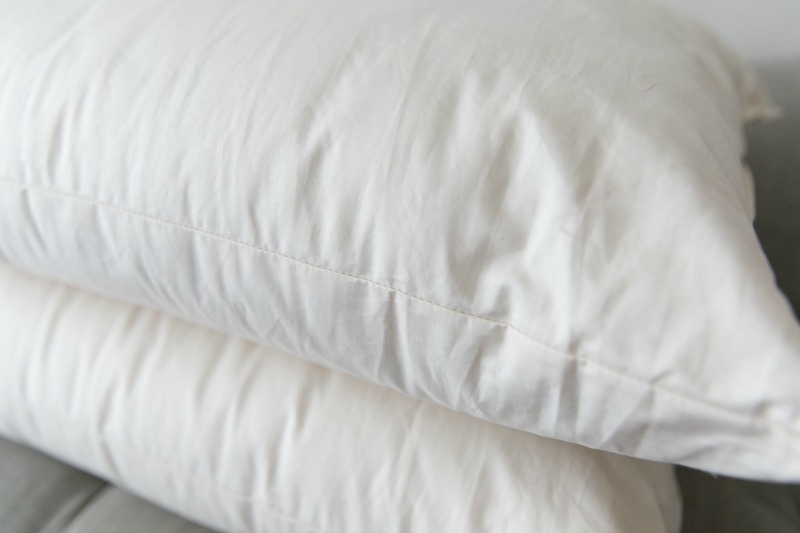 Our 100% Certified Organic Wool Pillows are all natural and synthetic free. 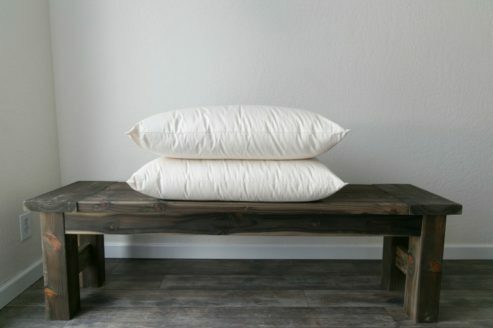 These wool pillows are made with organic wool batting sewn into an organic cotton encasement. Wool is naturally soft while still maintaining a beneficial level of firmness to support you while you sleep. 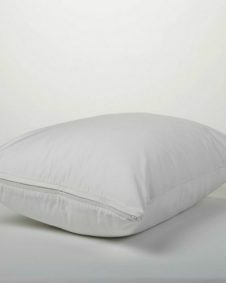 These pillows will compress about 30%-40% within the first six months of regular use and are designed for longevity. Sleep well with our natural and supportive 100% Certified Organic Wool Pillow! Our 100% Certified Organic Wool Pillows are made with sheets of organic wool batting sewn into an organic cotton sateen encasement. The result is a smooth, all-natural pillow. Investing in wool pillows is a great start towards a healthy bed. 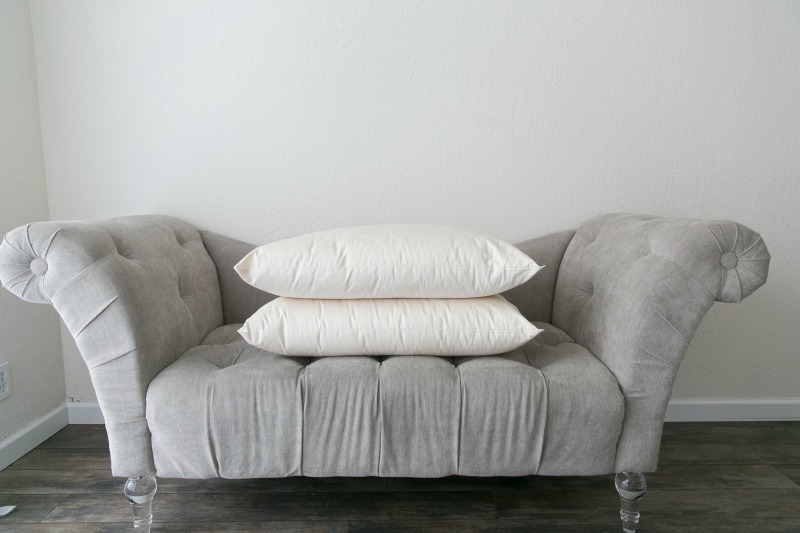 Our 100% Certified Organic Wool Pillows come in Standard, Queen, and King sizes. See the ‘product specifications’ tab to learn more about these standard dimensions. Choose between a thin, medium, and a thick pillow. Stomach and back sleepers may prefer a thinner pillow, while side sleepers benefit from the neck support of a thicker pillow. For combination sleepers, try all options! We at Shepherd’s Dream know that choosing the right pillow for you is a personal choice. With that in mind we strive to offer healthy and supportive options so that you may sleep your natural best. 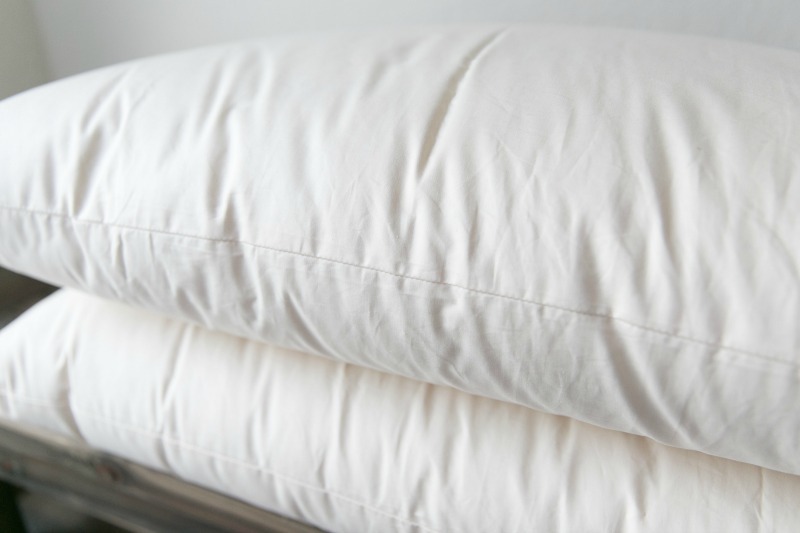 Learn more about ways to use pillows to get better sleep and reduce pain on our blog. Our 100% Certified Organic Wool Pillow offer excellent support for the body. Wool has been known to relieve many body aches and pains, including back pain. Wool naturally helps you relax, relieving stress and tension, and allows your body to peacefully enter into sleep. This makes for a truly restorative sleep. 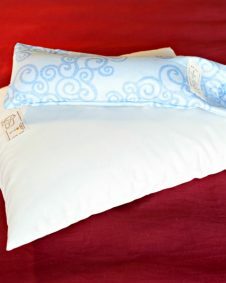 Keep your pillow protected with an untreated or organic pillow protector. Sun and air seasonally to naturally bleach out stains and to revitalize the wool. Easily spot clean with a natural soap or wool wash like Eucalan if an accident occurs.